Currywurst Media (What’s Cooking) is an independent publisher with a strong focus on quality cookbooks for both consumer and corporate segments. Based from little old New Zealand, we develop products for the local market and abroad (United States). Our in-house specialists include a designer, photographer, food stylist, recipe editor, and chefs; are all essential to delivering high-end, bespoke products that fill both your visual and culinary appetites. Combined as a team, we have a wealth of experience publishing under our belt across 7+ titles. Below is a collection of past and current projects we are working on. We invited 70 North Otago, Otago and Southland businesses to feature in our 4th business directory cookbook. It also features custom artwork by Dunedin artist Frank Gordon on the back cover. For 2018, we headed north to Auckland to gather businesses to be part of the first What’s Cooking publication for Auckland. We invited 60 businesses from around Otago to showcase themselves with beautiful photography and their beloved recipes across 2 spreads. It has been a hit as client or special occasion gifts that has fuelled us to expand this concept to other regions. 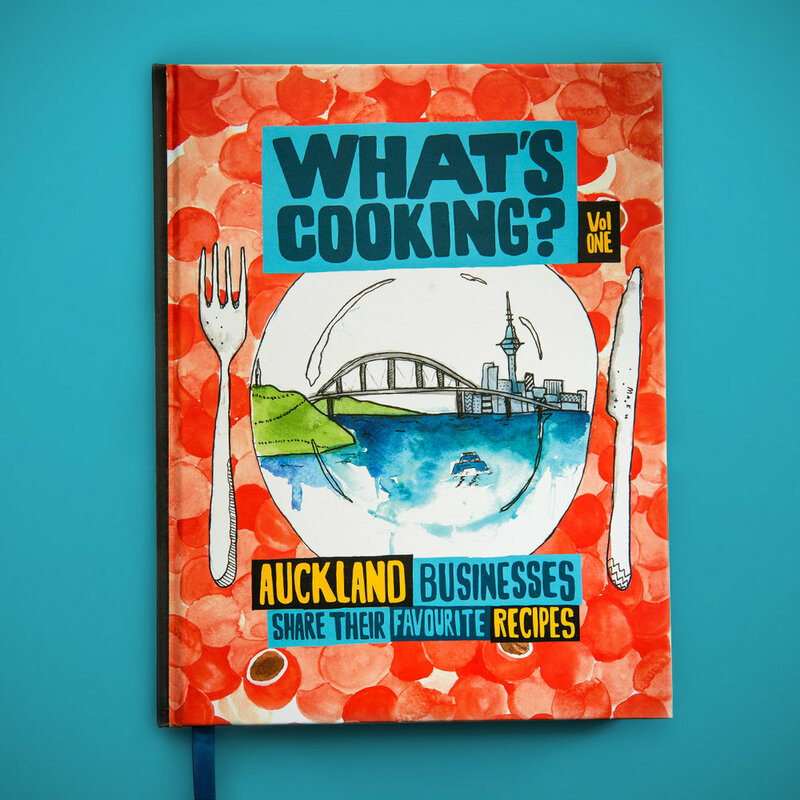 As part of our What’s Cooking Business Directory series, we partnered with Raywhite agents to develop this cookbook featuring 50 of the top Real Estate agents from across New Zealand.